My name is Jonathan and I am awesome I cannot even express how hard that statement is for me to write, let alone mean. This is going to be a departure from my normal challenges because I don't think they are useful to me at the moment. Fair warning, some of this stuff might get a little deep. One thing that those people that know me really well will already know is that I find it really hard to take a compliment. Indeed I find it impossible to take a compliment. Even harder still I find it impossible to give myself any worth or to believe that I am worth anything to anyone else. It may or may not have come to anyone's attention that I tend to deflect compliments. I'll disagree or manuviour my way around them. Those of you who have followed me for any period of time will also know that I'm really freaking confident in my own abilities. My ability to push myself and my ability to set myself a huge monumental goal and hit it. I often find it very hard to reconcile these two viewpoints of myself. It boils down to this. I have a lot of confidence in what I can do. I have a very low view of myself as a person. This challenge idea came to be after something really horrible happened. During a conversation with @Mr_Willes and @Charlie_Quinn some really, really nice things were said about me. Enough to make me well, if I'm honest. Rather than simply accepting the compliment my brain had an absolute melt down with it. Perpetuating my own feeling that I am simply a terrible person for having that reaction to them. I've spent a lot of the last few days thinking and talking this out with various people. With some very frank and open discussions about it along the way. I don't like myself very much. The purpose of this challenge is to challenge that perception of myself. That isn't a S.M.A.R.T goal or anything that is easily measured so I'm going to formalise this ever so slightly. Say something positive about myself. Thanks to some very very good friends of mine I have been inundated with nice comments recently and I've got a lot to go with. The goal is as stated. Just say something nice about myself every single day. If I can qualify it all the better. Identify and and challenge a negative thought about myself once per week of the challenge. I don't expect this to be easy. I'm struggling with keeping my head above water in my life right now but there are a couple of small changes in habit that I want to make. Organise: I've got a daily planner. I want to get into a habit of using the planner to keep myself in check. Meditate: 5 minutes a day. Read: A little every day for no other purpose than entertainment. I started The Hobbit this morning. It is old familiar and easy to read. This is my challenge. I'm tempted to add the other things that I will be continuing with. Weight loss and exercise but I'm just not going to. Those things will be happening and I will probably talk about them but they are not what I need to work on right now. I'm so glad this gif is huge. Yeaaahhhhhh Jon....you are awesome, and wonderful. Im glad you are back around here, because i missed you very much. Brother, I just want to hop across the pond and track you down and give you a great big hug. Learning to love oneself can be one of the hardest journeys in life, and one of the most rewarding. It takes a lot of courage to learn to love yourself, because as weird as it sounds, self-loathing is a coping mechanism. It's a way of not having to deal with the world. If I'm to busy beating myself up I don't have to do anything else, because how can I when I'm so worthless? Letting go of that twisted security blanket means having to confront the world without being able to withdraw when things get rough, and that's scary. Just keep telling yourself good things about yourself. Sometimes it helps to visualize you saying those things to a younger version of yourself. Also please know I love you my friend. I like how you figured out the challenges were too easy and zeroed in on the thing that actually needs work. Good luck dude. That gif really deserves to be quoted in all it's glory Thank you Charlie. You are such a good friend. I have a feeling that this challenge will make me cry more than once. It is a work in progress. I think it'll take a while before I see myself close to how you've described me but I'm trying to be kinder to myself. Thanks Stribs. It is taking everything I have not to dismiss the happy compliments and just embrace it. Thank You. Aww. I wasn't gone for that long but thank you Lizz. This one is going to be an interesting one. Time to try and accept being wonderful. And now it is time for me to start thinking more of myself. I don't know why I find it so hard. I really don't but I do. Brother, I just want to hop across the pond and track you down and give you a great big hug. You wouldn't have to track me down. I'd come and meet you in Oxford and gladly accept that big hug (I could pretty much guarantee that if you were to make it to Oxford there would be a fair number of Rangers beating a path to your door and most of us would be quite disappointed if we left without hugs ). You are right, of course. It is a safety blanket and something that I've used to protect myself for the vast majority of my life. I don't expect miracles to happen but I do want to make a start. This is honestly the most challenging challenge I've come up with since joining the forums. My intention is to dig into some of the details surrounding it and laying things bare I've not yet figured out how deep to dig. I did a little exercise a few weeks with a friend where we tried to describe the kind of person we would want to be. The thing at the very top of my list was to be someone who loved myself. Also please know I love you my friend. I don't know who is going to break this to Sra Tanque ... and Humour is the other thing I use to deflect emotion. Thank you Tank. Truly. I have a great deal of love and respect for you too. And thank you for the advice I think I'll try that one. Even when I wasn't trying I was still nailing my challenge goals. It's been that way for a while TBH. This really is something that i'm actually going to need to work on. Are you actually in Oxford? When we go to the UK someday I'm more excited about Oxford than London. I want to stay there and do Tolkien tourism. I'm also kinda nerdy about some of the Baptist theologians at Oxford. No but I'm close by (about a 45 minute drive give or take) so and I've been to Oxford quite a lot. I just happen to have a fairly good memory for this kind of thing and happen to know that you really want to go there. I'm so glad that you're beginning this journey. I'll be here to cheer you and and help in any way I can. 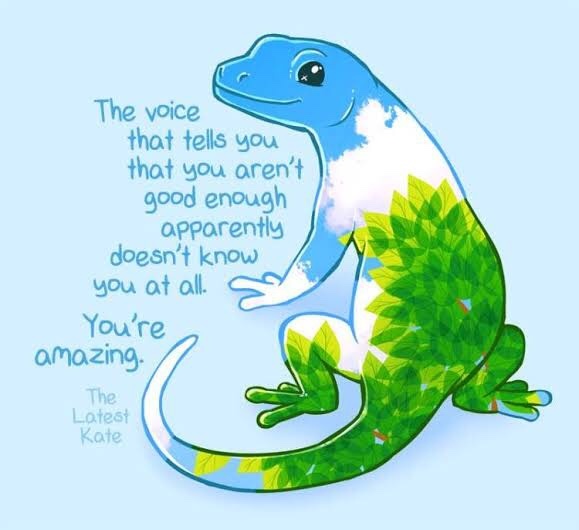 You can do this, because you are awesome! Ok Willies, I want to show you something. See this right here? _______________________ That is the line. Before this every thing is ok. After this is considered "Over the line"
I've not really decided how I want to do this whole update thing and how deep I intend to dig down here. I've been doing a lot of digging recently. Both with things I thought long buried and things that I've never really addressed properly so there has been a lot on my mind. Right now I'm just going to brush the surface. Monday didn't' really go great. I recently moved my workouts around to make Monday my rest day. I ran over 30 miles on the weekend and the rest day was sorely needed but rest day also gives me plenty of time to think and thinking was done. My default position is to care. I'm going to start this by going over some of the compliments that have come my way recently. This is something that my best friend said about me on Saturday night. There might have been some beer involved with this conversation. I wasn't exactly sure of what to make of this. Surely everyone cares? I do care. I like to make people happy and I like to see people smile. I'm not always able to do that but I try my best. There is a thing. My default position is to care for everyone apart from myself. But in my friend's words 'we are working on that'. I'll be looking at this over the week. I completely failed here. The reasons I failed were good ones. Rather than these small habit goals I spent my evening talking through my painful past. It was a very long conversation. When we wrapped up it was bedtime. Thanks Cheetah. I foresee a tough road ahead of me but I'm willing to give it a shot. I'm following Along Jonathon. As always go for the gold and I love your new focus on positive thoughts! See this right here? _______________________ That is the line. Before this every thing is ok.
After this is considered "Over the line"
I'm trying to be a little more open about what goes on inside this head of mine and I'm trying to be a little kinder to myself int he process. I totally relate to this feeling. I am the same way. Hopefully we can both be awesome. I was going to do this update this morning but couldn't bring myself to do it. I'm really struggling. TLDR is that I've been going through a lot of long buried things recently and it's taking it's toll. A lot of it has digs right down to the root of the problem. Maybe the digging will help but it damn well hurts down there. I a struggling. But rather than erect all of my defences and hide myself back away I reached out for help from several people. Help was forthcoming and plentiful. I feel like I'm worthless and worthless to those around me. I'm told otherwise a lot. 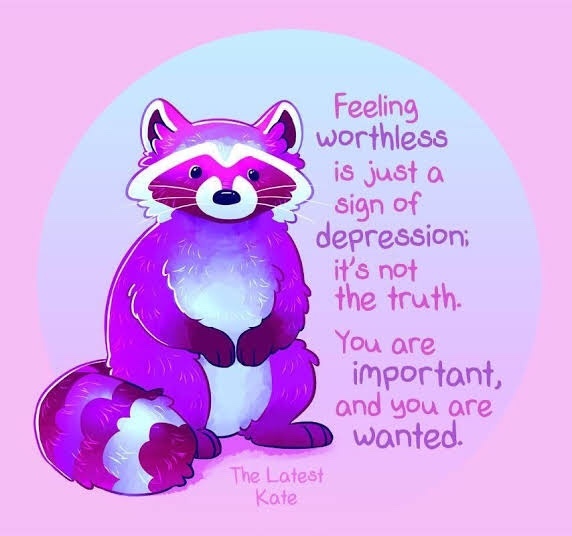 It's hard for me to reconcile it but so many kind people have reached out to me today when I am beating myself down to offer a kind word or a helping hand. I feel like I'm not worthy of any help but the help was there. I actually did all the things on this list. I'm not so sure they'll get done tonight. A lot of emotional scar tissue has to be busted up for that stuff to come to the surface and finally get out. Then when it does the hole still has to heal. It's gonna take a while, but eventually it gets better. Worthiness is irrelevant. Part of the evil of depression is it tries to get us to do emotional accounting, except the spreadsheet software is buggy and the numbers always make us look bad. If it helps think of this in spiritual terms. We are all unworthy, but God loves us anyway. Worthiness is not the issue, God's love is. In the same way, your friends love you because they choose to do so, not because you deserve it and not because you don't.